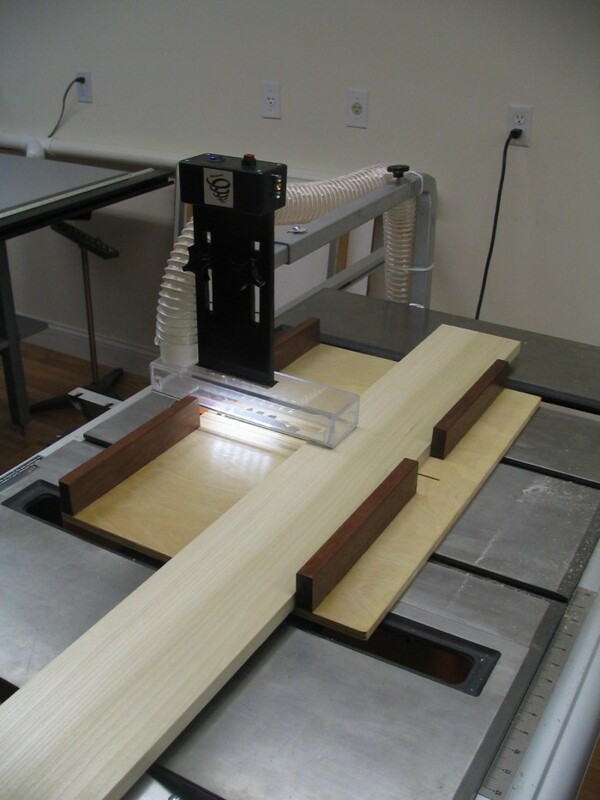 An improved health and safety system for a table saw includes one or more of: a blade guard that protects the operator from the saw blade, and contains and collects sawdust; a proximity detector and emergency saw motor braking means for use in connection with such blade guard; an anti-kickback device for use in connection with such blade guard, a rip fence adapter for use in connection with such a blade guard, and hoses and fittings to connect the dust containment and collection system of said blade guard to a shop dust collection blower or vacuum system. The system protects the saw operator from potential traumatic injury to a hand, and from ingesting potentially carcinogenic sawdust. 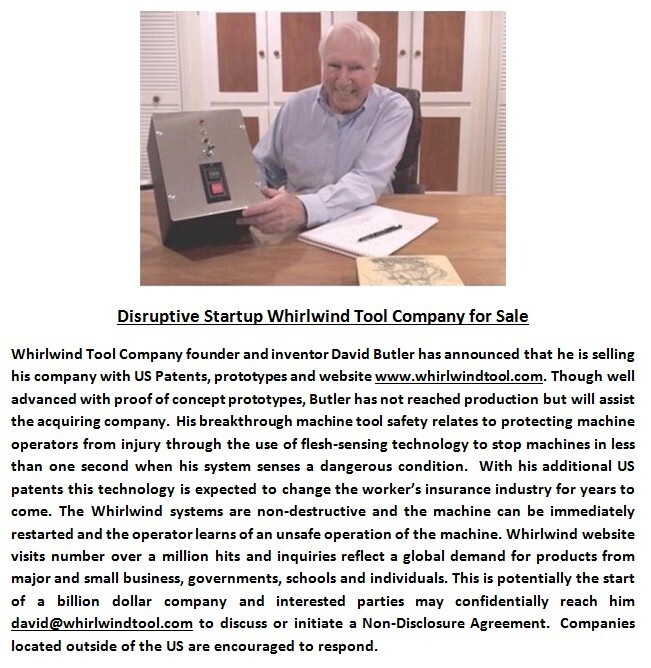 Whirlwind Tool Company is for sale. 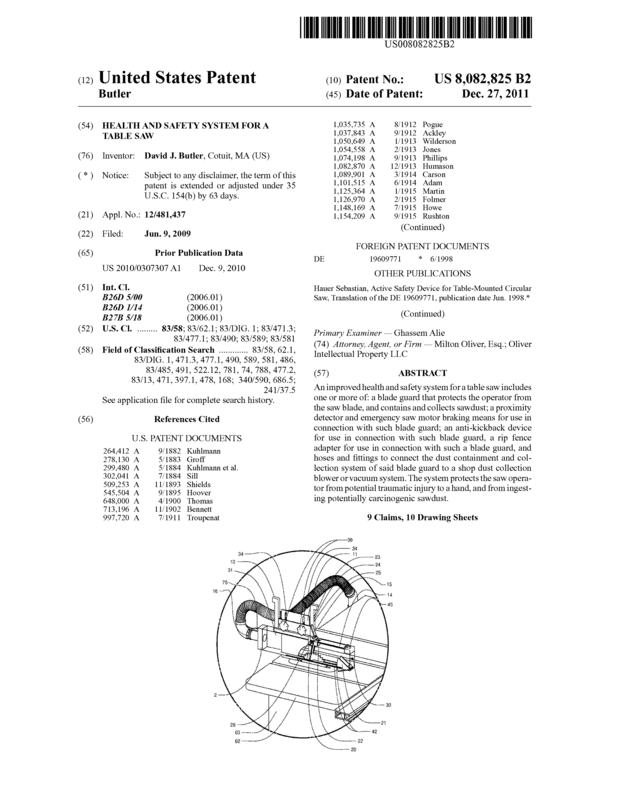 I have another US Patent Application that is pending as US 2015/0212512 A1. This patent is for disruptive technology that will change the insurance industry relating to worker injuries caused by machine tools. Page created at 2019-04-26 18:04:09, Patent Auction Time.